How are the juices made? All our juices are lovingly made by hand. We source fresh, high quality and local (where appropriate) ingredients. A state of the art cold press juicer is used to gently press the ingredients, applying no heat and thereby retaining the highest possible levels of nutrition. The juice is then bottled and immediately placed in to a blast freezer. Once frozen they are placed into the storage freezer until dispatch. What are the benefits of blast freezing over a conventional freezing process? Is there much loss of nutrition when freezing a juice? It is generally considered (although statistical research is hard to find), that 5-10% of enzyme activity/nutrition is lost in the freezing/defrosting process. This is, of course, always relevant to the quality of the ingredients used and juicing process initially. We strive to start with the best quality juice possible. Even though there may be some ‘loss’, when you consider just how much intense nutrition you are receiving over the period of a 3, 5 or 7 day juice plan, this ‘loss’ could be perceived as negligible. In addition, for many, without this service, they may not be able to carry out a juice program at all – and then the ‘loss’ of nutrition would be 100%! How do I defrost the juice? Take out the relevant juices for the next day the night before they’re to be consumed and place in your fridge. Each juice is labelled clearly with Day 1, Juice 1 or Day 2, Juice 3 etc. and the labels are colour coded for each day. The next day, take your juice out of the fridge 1 – 2 hours before you are ready to drink it. If your juice is not totally defrosted, just place it in a jug of warm water for 10 minutes. Shake your juice gently before drinking. Are the diets dairy free and suitable for Vegans? 5, 7 and 14 Day Diet, with Soup Option: Marvellous Mushroom Soup contains Crème Fraiche. Juice SOS Veggie Bars: These contain lactobacillus. Often the lactobacillus is grown on a dairy medium, but the dairy is removed in processing. That means only the most severely allergic would need to avoid a trace amount of dairy from a physiological standpoint. For vegans knowing that most lactobacillus is initially grown on a dairy medium, yet ubiquitous in nature, the suitability of this product becomes a personal choice. Please call us or email us at info@juicemasterdelivered.com so that we can assist you with providing suitable alternatives. How long can I store the juices in my freezer? Once the juices have been blast frozen, the juices can be safely stored in your freezer for at least 1 month. Please refer to the ‘Best Before’ date printed on each bottle. You can therefore order your juices in plenty of time before you’re ready to start your juice diet, and be confident that they will taste as delicious as the day they were made. How much juice is in each bottle? 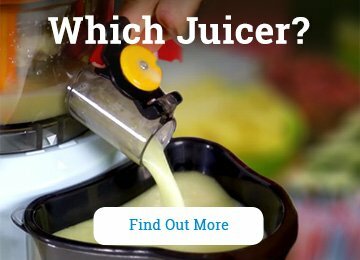 Are the juices diluted with water at all? Even though many of Jason’s recipes recommend adding ice, we do not add any ice or water when we make the juices (with the exception of the H2O on the 3 Day Diet and Sherbet Lemonade on the 7 Day Diet). Therefore, please feel free to pour your juice over ice or add mineral water if you wish to. How many juices will I receive? What about all the sugar? Isn’t it bad for you? Sugar is finally receiving the bad press it deserves. Unfortunately, however, fruit sugar is being tarnished with the same brush as white, refined sugar. The sugars are simply not the same, and if you use your common sense, you will appreciate this. Science may say otherwise, but if all sugars were the same, then people could switch chocolate for an apple without any problems. Think about yourself or someone you know who is a real sugar head – who must eat cakes, biscuits, pastries, sweets or chocolate. If you offered them an apple or a piece of pineapple instead, they would soon tell you where to go! ‘Live’ fruit and vegetable sugars are not the same as white, refined sugars and do not cause the same harm. However, there’s no need to worry in any case, as all the recipes are predominantly vegetable-based, with apple, pear or pineapple added to make sure the juices and smoothies taste good – pure vegetable juice is an acquired taste! The thickies also have either avocado or banana, and the additional insoluble fibres help to slow down the absorption of sugars into the bloodstream. You may be interested to know that, when cooked apple juice and live apple juice were tested for their G.I. or Glycemic Index rating (G.I. is a number associated with each type of food that indicates the food’s effect on a person’s blood sugar levels), the cooked juice came out as having a high G.I., whereas the ‘live’ freshly extracted apple juice had a low G.I. NOTE: Please always consult with your GP if you suffer from diabetes before embarking on a juice only diet. Are the juices gluten and wheat free? The juices are gluten free as no gluten product is run through our cold-press equipment. However, we do have wheat products on-site – although not in the main juice processing area. In addition, when using almonds for the raw nut milk juices, we are not able to guarantee how the almonds have been packed at source and are aware that they could be processed at a site that has wheat or gluten products present. Our advice if you have a severe wheat or gluten allergy would be to not purchase the juices. If you might be able to tolerate an incredibly low level of gluten/wheat, please consider perhaps swapping out the almond blends if this causes any concern. The 5:2 Diet only contains ‘thin’ non-blended juices and you are able to select from an wide range to suit your needs – these are all gluten and wheat free with the above advisory. 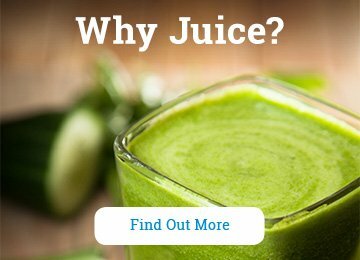 How should I prepare for the juice programme? For as many days as you can before the juice diet commences try to cut down on caffeine, alcohol, refined sugars, processed carbohydrates and other unhealthy foods. Drink plenty of water and increase your intake of fruits and vegetables. This will prepare your body for the juices and reduce the severity of any of the less pleasant symptoms you may experience in the first few days due to withdrawal from these foods. Do I need to provide anything else during the juice programme? No, we have provided everything you need! However, if you are planning on taking your juices out with you during the day, it would be useful to have a cool bag. We also recommend that you read a copy of the book that goes alongside your chosen programme as it will help you to succeed on a psychological level. To compliment your programme we also have some recommended products in our shop which will keep you juicing after it has finished. Do I need to take any other supplements while on the programme? Supplements are not essential. However, if you would like to ‘Super Juice’ your programme, you can simply add a teaspoon of Juice Master’s Power Greens to any 2 of the juices. Please note that by adding the powder you will change the taste so if it’s your first time just add a small amount to the juice at first to see how you get on. Should I continue to take my multi vitamins/minerals? It’s up to you. However, it’s worth bearing in mind that you are receiving an intense amount of nutrition over the 3 – 14 days and therefore any excess of (water soluble) vitamins will just mean you have very expensive wee! Is it OK to exercise during the programme? Intense exercise is not recommended, but gentle exercise can actually help with the expulsion of toxins e.g. walking, yoga, tai-chi, swim etc. The release of endorphins and oxytocin during exercise will also act as an appetite suppressant and allay hunger. How can I expect to feel over the 3 - 14 days? The experience is different for everyone. Some sail through the process easily, but you need to be prepared for perhaps some less pleasant side effects. Please don’t worry about these as they rarely last more than 24 hours. Important: If you do become unwell and the symptoms worsen, please do not assume it is the juice diet, you may be suffering from something unrelated. Consult your GP immediately. What can I drink during the programme? Water (flat and carbonated). All herbal, caffeine free teas. Green Tea should NOT be included as it contains caffeine. Please also avoid caffeine free tea and coffee. I have an allergy to a specific fruit, vegetable or ingredient, can I still do the juice plan? The juices are made in an environment where nuts are present and are therefore not suitable for those with a nut allergy. If you have a food allergy, please advise Juice Master Delivered before purchasing the programme and we will be able to advise if it is suitable. Please also see the ‘Health Requirements’. When should I not undertake a juicing diet? 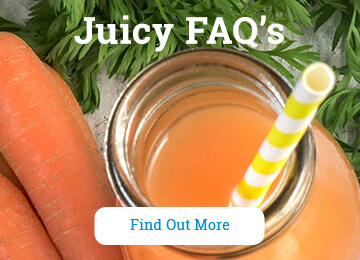 Can I do a juice programme if I’m pregnant? During your first 12 weeks of pregnancy you are advised not to change anything much about your diet or lifestyle, so if a juice plan is a radical change for you then it’s best not to start it as suffering detox symptoms on top of potential morning sickness is probably not a good idea! Incorporating juicing into your diet whilst pregnant can be beneficial, as there is no better way of getting key minerals and nutrients into your and therefore, your baby’s system. However, we would not recommend that you embark on an exclusively juice programme whilst pregnant, as a juice only programme will certainly result in symptoms of detox and weight loss, which is something to be avoided during pregnancy. As always, when in doubt consult your GP first. My Super Blends are only 420ml, but Jason’s recipes make about 500ml, why is this? All the Juice Master Delivered blends are made without the ice, which is advised to be blended in with each of Jason’s Super Blend Me! recipes. Therefore, we suggest pouring your blend over ice. I don’t like the ‘SOS’ bars, can you discount my plan? We are not unfortunately able to discount your plan if you do not wish the juice bars to be included. However, if you are struggling with a certain variety, we are always happy to swap these for you. Please get in touch with us to discuss any issues you may have. How do I know whether to choose a juice or blend plan? If this is your first try of an ‘all liquid’ diet, we would suggest initially that you choose one of the Juice Diet plans. This is because you will, on one of these plans, receive a variety of both thin, non-blended juices and also some smoothies where juice is blended with avocado or our homemade raw nut milk. Juicing also provides more micro nutrients due to the volume of ingredients packed into each juicy bottle. However, if you would prefer a diet in which all the juices are thicker and also where all the powders (The Green One, The Berry One and The Protein One) have been blended in for you, then the Super Blend Me! plan is for you. Your decision may be dictated purely on which juices you prefer – although we think they’re ALL delicious. If you’re not sure, please give us a call or pop an email to us and we’d be happy to talk you through all the options. Help! My juices haven’t defrosted fully. Due to refrigerators running at different temperatures, the advice we provide is a guideline and you may need to adapt the process to suit your needs. Our general recommendation is to place the juices in your fridge the evening before you need them and to remove them to stand at room temperature 1-2 hours before your scheduled juice time. However, should you find that your juices are not ready to drink, there are some further steps you can take. If your juice is still frozen and you want to drink it immediately, simply pop it into a jug of warm water to gently speed the process. Ensure you keep checking and shaking your juice so that you don’t allow it to become warm. Thereafter, perhaps adapt the process by taking your juices out of the freezer sooner the day before to give them longer in your fridge and/or remove them from the fridge for longer than 1-2 hours. The main guideline is to ensure your juice remains chilled – no one likes warm juice! For the best taste quality and nutrition, we advise drinking within 24 hours, however, the juices may be drunk safely over 48 hours after defrosting, assuming they have been stored in the fridge and been kept chilled. How are the frozen juices delivered? The 3 Day Diet juices are shipped in a box approximately 475 x 300 x 310mm, the 5 Day Diet box is 480 x 410 x 315mm and the 7/14 Day Diet box is 655 x 415 x 340mm. We guarantee that your juices will remain perfectly frozen if left sealed in their packaging until late into the evening of the specified delivery date. Where can I have the juices delivered? Juices can be delivered to your home or work place. Please bear in mind though that once unpacked the juices will need to be immediately placed in a freezer. If delivering to your work place, please ensure you have adequate freezer storage. Packages may weigh anywhere between 10-15kg and are not suitable to be carried via public transport. How much is shipping and are there any other shipping options? Please see our shipping rates. Standard delivery before 7pm is £9.99. You may select an alternative delivery time, but a surcharge will apply. How much space do I need for bottles? The dimensions of the bottles are: 160mm x 67mm diameter. For the 3 Day Diet, please allow at least 1½ freezer drawers to store your juices, for the 5 Day Diet, at least 2 drawers and for the 7 Day Diet approximately 2½ drawers – a good excuse to move out the ice-cream! Deliveries are next day by 19:00, do I need to wait in all day? No! You can designate a ‘SAFE PLACE’ when placing the order. If you are not in, the courier will leave your juice box where you have specified. This could be for example: with a neighbour, inside the back gate/porch, at reception etc. We guarantee that the juices will remain frozen all day on your specified delivery date – as long as they are left sealed in the box. Once the juices are left safe they are your responsibilty. If I order other products from the shop will they arrive with the juice delivery? All supplementary items ordered will be shipped together with your juices. We are not able to send supplementary items in advance of your main order. Please contact: nancy@juicemasterdelivered.com immediately. Alternatively call: 0345 299 7111 (Option 1) Urgent voicemails will be picked up after hours. As a precaution please also check your safe place incase the juices have been left safe and no advisory note been provided by the courier. Technically, the TV Doc, has a point – the body does indeed detoxify itself with the help of its organs designed to do precisely that. I’m also fully aware that freshly extracted raw juice doesn’t detox the body per se; only the body essentially detoxes the body. However, just because the body wants and is designed to do certain things naturally, it doesn’t mean it’s always in the best position to do so. If a person constantly puts more toxicity (refined sugars, fats, salts, alcohol, nicotine etc.) into the body than it can detoxify (or eliminate) efficiently, then it will struggle doing what it naturally was designed, and is desperate, to do. The more rubbish you pile into your body in the absence of live, high-water content, nutrient-rich foods and drinks, the more the organs have difficulty coping. Stop putting in the rubbish and then, yes, the body will then be free to do what it naturally wants and needs to do every minute of every day – detoxify! This is exactly what the juice diet is – a period of time, 3, 5, 7 or 14 days. So there you have it folks, myth debunked. Have a question that has not been featured within our most frequently asked questions? Enter your details below with your question and we will get back to you as soon as possible.